Crete is the largest island and after Cyprus it is the second largest in the eastern Mediterranean Sea. It is situated on the southern part of the Aegean Sea and has an area of 8336 km2. Crete is a mountainous island known for its high mountains from west to east. It is between two different climate zones: Mediterranean and North African. Sun-filled island fascinates with its differences, coves, caves, fields, beautiful beaches, crystal pure sea and the hospitality of the hosts. There are so many historical monuments on the Crete that will enchant you with its refined eternity. 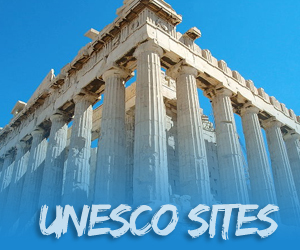 In tourist centers it is possible to find absolutely everything you need for a carefree holiday, and only a short distance away you can admire the archaeological excavations of ancient Greece. According to the testimony of Homer, Crete was once a densely populated and there were about 90 villages. One of them was a powerful kingdom Knossos. Crete is a place where the Minoan civilization developed and was one of the oldest in Europe. The economy of Crete, which was based on agriculture, began to change during the 70′s of last century. Although agriculture is still an important part of the Cretan economy, but because of climate and terrain of the island, there was a fall in production and high growth service industries. There are three airports on the Crete, which is not surprising because it comes one of the most popular tourist destinations in Greece. Fifteen percent of all arrival in a Greece passing through the city Heraklion on Crete. All those who like active holiday more than lying on the beach, immediately after their arrival on the island realize that they have found the ideal place to satisfy adventure appetite. Located in the south Aegean Sea, Crete offers a unique feeling while you are bathing in European waters, the Libyan sea on the other side of the island remind you about the closeness of the African continent. Greeks often call Crete “small continent.” This statement got its credibility when we look the natural differences of the island offers: canyons and mountains, the mountainous interior, green valleys and sandy beaches. The mild climate, with more than 300 sunny days during a year, allows Crete long summer tourist season. However, Crete is not missing winter tourism as well- a mountain range with highest peak Psiloritisom, located at 2456 meters above sea level, is an oasis for ski fans.